The Madressa hosted a Parent Information Event on Sunday 15th and 22nd October, 2017 to discuss changes for 2018 in regards to the Tarbiyah curriculum as well as to discuss the student fee proposals over the next few years in light of the move to Northwood School. 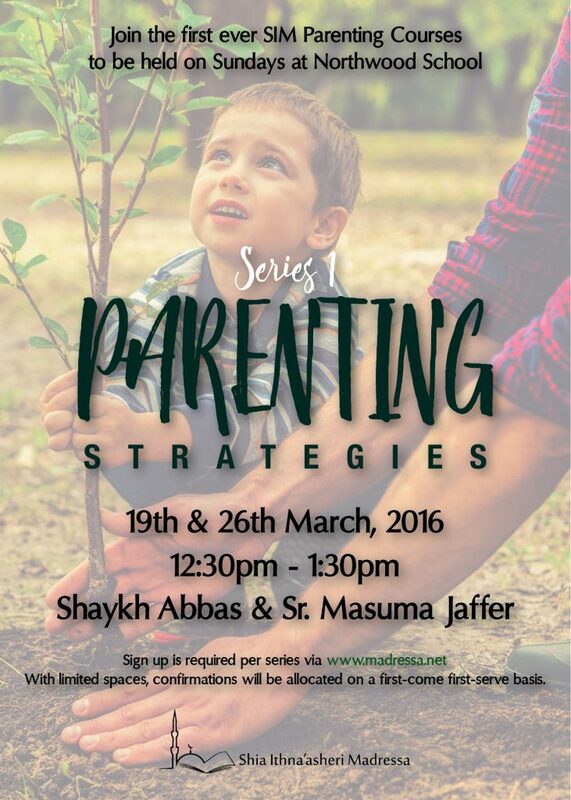 In March of 2017, the S I Madressa hosted a trial of ‘Parenting Courses’ with Sh. Abbas Jaffer and Dr. Masuma Jaffer. 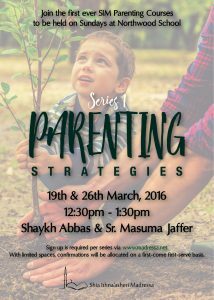 Alhamdulillah we received an overwhelming response and hope to host more parenting courses.